How To Buy The Best Fridge Freezer - Which? Need a new fridge freezer? 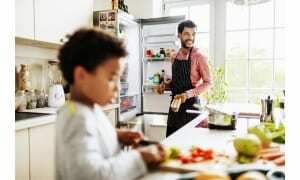 Check out our expert advice and find the best model for your kitchen and budget. Buying a new fridge freezer is no longer a case of simply choosing between a freestanding or a built-in model. As important as that decision still is, there are several other factors you should also consider before you hit the shops. Read our guide on how to buy the best fridge freezer to make sure you're fully prepared. For starters, fridge freezers seem to be getting bigger and bigger, with more than half a meter separating the tallest we've tested from the shortest. They're expanding in width, too, as the growing popularity of American fridge freezers shows. To make your decision even harder, there are also more features and colours to choose from than ever before. Keep reading, or use our interactive tool below, to help you buy the best fridge freezer. Or, head to our shortlist of the best fridge freezers to see which models topped our tough tests. Which type of fridge freezer do I need? If you’re replacing your old fridge freezer, you’ll probably want the same type: be that freestanding, integrated or American. If you’re redesigning your kitchen, it’s worth deciding on the type you want early on, when you’re planning the layout. Do you want an integrated fridge freezer that’s hidden away behind kitchen cupboard doors, or a freestanding one you can put anywhere? Or perhaps you want an American model with lots of storage space and a water and ice dispenser. Below, we'll tell you about the pros and cons of each type to help you choose the best for your needs and budget. 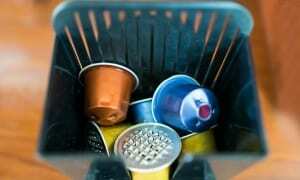 These are the cheapest type you can buy, and there are more of them on the market. This means there’s more choice in terms of model, brand, budget and style. Another advantage of freestanding models is that you can put them anywhere in your kitchen, and take them with you when you move. On the downside, they can be a bit of an eyesore. 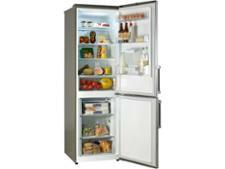 Freestanding fridge freezers are the cheapest type and there are hundreds of models to choose from. Integrated (or built-in) fridge freezers are tucked away behind kitchen cupboard doors and are ideal if you don’t like your appliances to be out on view in your kitchen. They’re more expensive than freestanding models, though, and there are fewer to choose from. 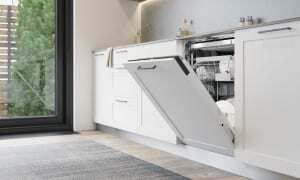 Need a fridge freezer for a built-in kitchen? See how to pick the perfect one for you in our integrated fridge freezer buying guide. If you've got a large kitchen, you've probably got an American or side-by-side fridge freezer on your wish-list. They're sleek, stylish and with loads of storage space. Most come with enhanced features, such as separate thermostats for more accurate temperature control, and water and ice dispensers. At the same time, however, they’re expensive, pricey to power and take up a lot of floor space. Find out all you need to know to buy the best American fridge freezer. A colourful retro fridge freezer is a standout addition to any kitchen or utility room. 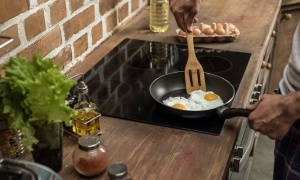 But chose carefully as many of the models we've tested are either a poor home for your food, or else have potentially unsafe flammable backing and have been made Which? Don't Buy fridge freezers. Find out more in our guide: How to buy the best retro fridge freezer. You’ll probably have a good idea already, but make sure the model you decide on will suit your needs. For example, if you buy a lot of fresh food for a large household, make sure the fridge is big enough to hold everything. And if you keep your freezer fully stocked with ready-frozen items, or you bulk-freeze a lot of fresh food, check that the freezer has enough storage space – many are on the small side. Before you start comparing fridge freezer storage volumes, it’s worth bearing in mind that manufacturers typically calculate this with all the shelves, drawers and door racks taken out. When we test fridge freezers, we leave everything inside and measure the space you can actually use for storing food. The differences between our measurements and manufacturers’ can be huge - the worst differ by more than 25%. This means that even fridge freezers with the same dimensions can hold different quantities of food. So use our capacity sizes when comparing models to make sure you know what storage space you're getting for your money – you can find these on the technical specification tab of our fridge freezer reviews. Some fridge freezers have a lot less storage space for your groceries than others - even those that appear to be the same size. What type of back does the fridge freezer have? We are therefore not recommending any refrigeration appliances with flammable plastic backing. All fridge freezers with this type of backing have been made Which? Don't Buys, regardless of how else they have performed in our chilling and freezing tests. Which features should I pay more for? Some fridge freezers have additional features that either boost cooling or make storing food easier. They range from quick-chill and fast-freeze functions to help food last longer, to chiller drawers that keep meat and fish extra-cold by shielding them from warm air that seeps in when the door is opened. Other features add a touch of luxury, such as digital displays and water dispensers, or are nice to have - humidity controls, for example, which can keep some fruit and veg fresher for longer. Frost-free freezer If you pick only one feature, make it this one. You’ll save hours of time and a lot of mess by never having to defrost your freezer. Adjustable shelves These give you the flexibility to set the space as you want it. A decent salad-crisper drawer Go for one that slides smoothly but that doesn’t slide all the way out too easily – as this can cause you to drop the drawer and all its contents. Smooth-sliding freezer drawers You’ll soon become infuriated if the drawers stick or don’t slide out far enough, so choose a model that’s easy to use. Adjustable door racks These let you create more space if you need to store tall bottles. I don’t want a white fridge freezer – will I have to pay more? Yes, but it shouldn't add much to the price if you choose a silver or black-coloured plastic one. If you want a metal, gloss or glass finish, expect to pay a fair bit more. Which fridge freezer is suitable for my kitchen? Every fridge freezer has a ‘climate class’, which tells you the range of room temperatures it’s designed to work in. 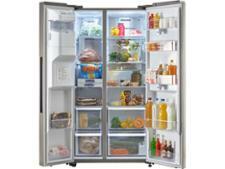 Most UK fridge freezers have a climate class of SN and will work in rooms that range from 10°C to 32°C. It’s worth checking the climate class to make sure your chosen model will work properly in your home. You can find this on the rating plate (inside the fridge freezer), or check with the manufacturer. You can also check the climate class of all the models on test on the specification tab of our fridge freezer reviews. There are some N class models available in the UK. These are designed to work in rooms that don’t fall below 16°C, so they’re not suitable for chilly kitchens. Unless you keep the heating switched on overnight during the winter, we wouldn’t recommend buying a N, ST or T class appliance. 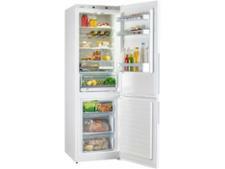 Most UK fridge freezers have a climate class of SN and will work in rooms between 10°C and 32°C. Whether you're looking for a basic appliance that's brilliant where it counts or you're about to shell out on a high-spec American model, check our fridge freezer reviews before you buy. We've tested hundreds of fridge freezers of all shapes, sizes and prices and have found that the premium models aren't always the best. We've uncovered excellent Best Buys that won't break the bank, as well as dreadful machines that will make your food go off more quickly than necessary, yet rack up your energy bill in the process. For the full list of ace appliances that help keep food fresher and nutrient-rich for longer, whatever the temperature in your kitchen, head straight to our reviews of the best fridge freezers.